Product prices and availability are accurate as of 2019-04-13 18:55:59 UTC and are subject to change. Any price and availability information displayed on http://www.amazon.com/ at the time of purchase will apply to the purchase of this product. Quick-drying, high-performance lubrication for garage door systems in a no-mess formula. 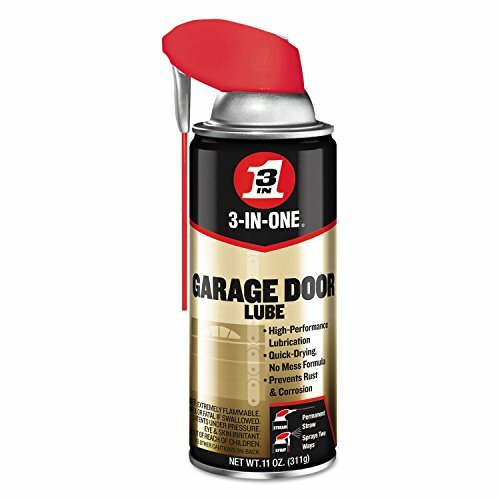 Use 3-IN-ONE Professional Garage Door Lube to help maintain the operation of your residential or commercial garage door system. Regular application of 3-IN-ONE Professional Garage Door Lubrication to hinges, door tracks, chains, pulleys, and latches prevents rusting, corrosion, sticking and squeaking. The lubricant also dries quickly without leaving a messy residue and minimizes dust accumulation.